﻿ Grand Hyatt Goa (India) | FROM $129 - SAVE ON AGODA! 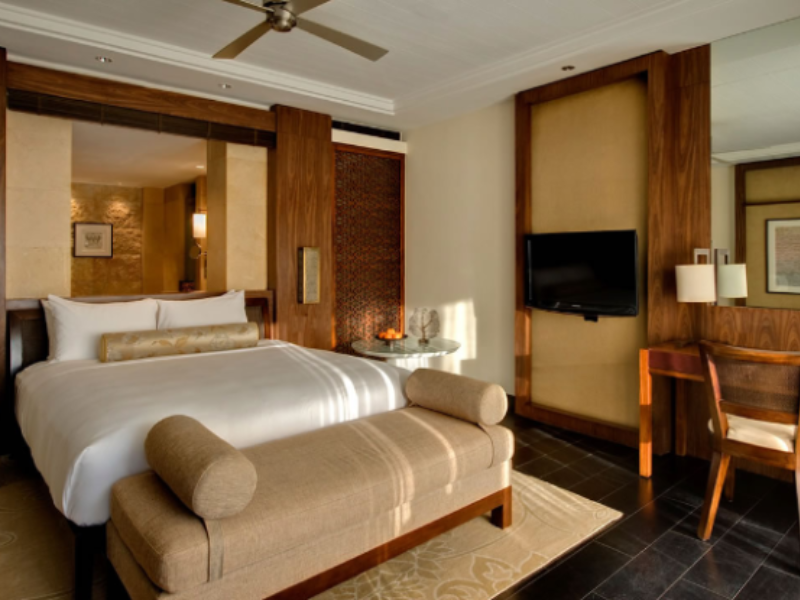 Have a question for Grand Hyatt Goa? "The swimming pool and staff are nice." "It is a nice resort with very good facilities." "Everything is excellent and flawless." "Food, room and overall property is very good." 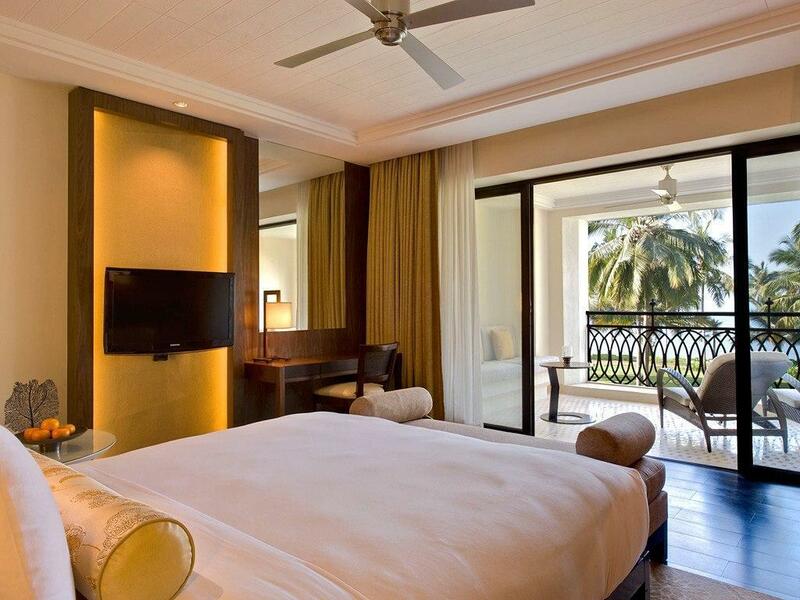 Treat your family to a deluxe and unforgettable getaway at the Grand Hyatt Goa. This property has air conditioning, a hair dryer, satellite or cable channels, and an in-room safe box. It also has a seating area, bathrobes, a shower, a coffee or tea maker, and other amenities. It is near Bambolim Beach, Goa University, Panjim Community Centre, Maruti Temple, and Goa State Museum. Looking out at the partial sea, garden, and pool, it has striking scenery. With safety deposit boxes, a currency exchange, an infirmary, a salon, as well as a selection of shops, it provides several convenient features to make your stay more comfortable. From a concierge to a babysitting service, the Grand Hyatt Goa has a variety of useful services for guests. The property offers access to canoeing, so you can go for a peaceful ride and see the beautiful landscape. Non-motorized water sports are available in the area, allowing you to experience the sport whether its your very first time or you're an expert. Offering guided tours, the Grand Hyatt Goa is a great place to stay to learn about the area and see everything you can while you're here. From a bar to a poolside bar, this property has an assortment of dining and snacking choices. It provides a range of transportation options, such as airport transfers, shuttle services, bicycle rentals, and car rentals. The Grand Hyatt Goa offers check-in from 03:00 PM and check-out until 12:00 PM. With pet-friendly facilities, this property is perfect for visitors who can't bear to be away from their pets. It features a kids club, so you can sit back, and relax and enjoy your vacation while your little ones are being kept busy. Equipped with family rooms, it has ample space to sit together. Also equipped with a kids swimming pool, this property is perfect for children of any age. It offers express and 24-hour check in and check out, allowing you to conveniently choose the option that best suits your needs. The Grand Hyatt Goa provides around-the-clock front desk services, ensuring that there is always a member of staff on call to answer any questions you may have. There's free Wi-Fi in all rooms, as well as Wi-Fi in common areas, so guests can connect with their friends and family back home. Panjim Bus Station is 5.2 km away and Vasco Da Gama Railway Station is 7.5 km away. "Really appreciated the complimentary activities offered." Staff were excellent. Restaurant manager went over and above what we expected. Swimming pools and facilities were good. Only down side was jelly fish occupying the sea/beach area which prevented swimming in the sea. It was my husband's 50th birthday and he wanted to celebrate it somewhere special and the Grand Hyatt was as special as it could get. From the beautiful surroundings to the lovely, spacious room, the spa and the pool, it was a holiday to remember. New year party NOT worth at all. The live band played 70s music& most guest got bored and could not hold the crowed , new year count down was delayed by 2 Mins, by 2 am the party was dead ... paid 270/-$usd per person ..! I had booked the Bay View room for my parents. Their stay was very pleasant and hassle fee. The staff was very friendly and helpful. I had requested a Birthday cake and this was promptly delivered. They provide golf carts on request for internal travel of the premises which is extremely useful for senior citizens. Complementary use of Sauna and Jacuzzi at the Spa. Excellent spread of breakfast with a wide variety suiting all taste buds. Overall I am impressed and would definitely recommend this hotel and visit again. The Resort is like a dream. This Hotel is like a Paradise. It’s new and luxury resort. It has free wifi in all the Hotel and the Parks. We were very well received by very very friendly and polite. 10 Points !!! help us a lot and made our stay in the hotel memorable and we’re super-grateful. Breakfast are 10 Points ! decorated the room with some amazing towel statues and cleaned the room excellent. 10 Points !!! super friendly and polite in the Salon Vip. 10 Points !!! Resort Activities Manager was our Tourist Guide in Goa and in the North of India. We never forget our talks with Nora, always very educated, very friendly and she speaks a lot of languages. We Had a memorable experience with Grand Hyatt Goa. Grand Hyatt Hotel Goa was amazing !!! We recommended it a lot. !!! Started with a big disappointment as we went there for the pool (the hotel does not have a real beach) and were told on arrival that the outdoor pool is under renovation! The duty manager, and I unfortunately forgot his name (Dixon? ), did an awesome job though in ferrying us to the pool of the Park Hyatt until the next day when the grand hyatt pool was ready to be used. Nevertheless, we lost the first day of aa short weekend trip having to wait for a solution and being in a bad mood, which is not what you expect from a very expensive hotel chain. All good in the end though. Had an amazing time...Hotel has a private beach which is just awesome as well as a good spread of restaurants to make the evenings special. Kids had a good time too since hotel also provides a kids club and the hotel staff is extremely friendly and co-operative. Spend diwali away from home and hotel staff was extremely helpful enablisng us to manage diwali puja within our hotel room. Food inside the hotel is bit costly not the alcohol though. Would definately recommend to all. Must visit when staying in Goa. This is a great place to relax. Hotel is conveniently located about 6kms frm Panjim and about 20kms frm Calangute. Our stay at this Grand Hyatt was mesmerising. We're a frequent traveller to Goa so we decided to spend more time in the hotel rather than sight seeing. If ur looking for a comfortable n luxurious stay, look no further!! Opt for any rooms between 2105-2115 in Guest house 2 they're a good value for money. The only thing that was a big turn off for us was when they didn't wash our car even after asking them too. Car was is not free n they charge u ₹500 for that and depends on the availability of drivers. If drivers r not available then be ready to wash ur car urself. This wasn't expected at all!! I mean even a 2 or 3 star hotel provides a free car washing! Rest everything was just awesome. an amazing stay, enjoyed the facilities, rooms were spacious and well desiged, toilets were also big and luxurious, pool is very big. spa and fitness centre was good. enjoyed the jacuzzi and steam facilities. they have three or more restaurants. food was good and room service was always on time. very nice experience. very big hotel with great facilities. Great hotel with service to match the rating. Chulha restaurant is good and the spa was amazing. Highly recommended. Everything is excellent and flawless. Love the experience.